A yummy song of traveling to candy land, On the Good Ship Lollipop, is sweet little lullaby for your child. 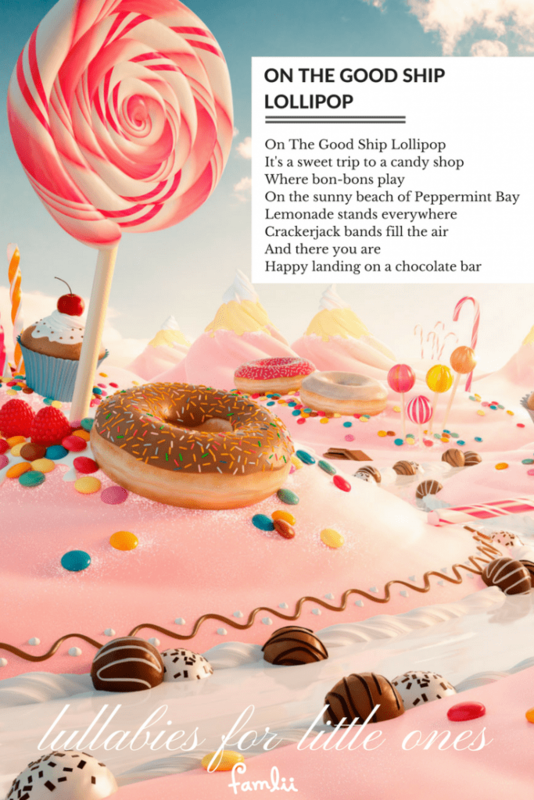 Here are the printable lyrics for Good Ship Lollipop, including the classic video by Shirley Temple from the movie Bright Eyes. 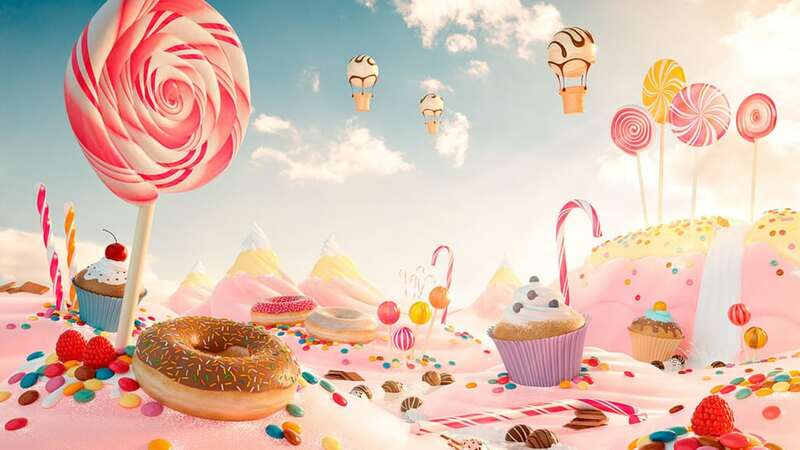 Click to download a pdf printable of Good Ship Lollipop Song Lyrics. On the Good Ship Lollipop was first performed by five-year-old Shirley Temple in the 1934 movie Bright Eyes. The song lyrics were written by Sidney Clare, with melody composed by Richard Whiting. The ‘ship’ referred to in the song was not a boat at all, but actually a Douglas DC-2 airplane. In the movie, Shirley sings the song while on the plane taxiing down the runway. Several notable recordings of the song were made by Rosemary Clooney, and by Mae Questel, who was the famous cartoon voice of Betty Boop and Popeye’s Olive Oyl. And don’t forget to check-out Shirley Temple’s other famous song: Animal Crackers in my Soup!